The gray zone. A thing that no one has really heard of but everyone would know once they hear me say “vegetative state”. That’s what the gray zone is. People who are somewhat responsive or completely non-responsive to the world around them. It’s something most people are familiar with, the topic that sparks so many debates about the right to life or the right to die with dignity. It’s a really hot topic. Adrian Owen is a neuroscientist whose research focuses on the people in the gray zone. Mainly, his research focuses on how to bring people out and how to know whether people are conscious of what’s going around. It’s a huge topic. Do these people know what’s going on or are they completely gone? Dr. Owen takes this topic, his whole life’s research, and tries to condense it into something that’s understandable. The only experience I have with consciousness is a very short lecture that a classmate did for an honor’s project in my behavioral neuroscience course. Everything went above my head. Consciousness is a difficult concept since it takes multiple forms. We can be aware of our surroundings, but we may not understand ourselves or be able to introspect. Emotions may not show consciousness since dogs show emotions, yet do they have the power to introspect or form complex mental maps of words, topics, or relationships. Dr. Owen explains all things related to consciousness perfectly. He makes it easy despite having the ability to go way above everyone’s heads to reach academics who, like him, spend their lives researching it. He’s come into contact with doctors, psychologists, fellow neuroscientists, and philosophers. This conversation has touched most people in some way. Having to make a choice about a relative or a friend doing the same. Debating something like this in a class. 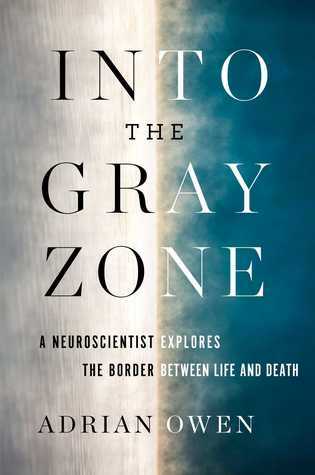 However, this book gives a very unique spin on it by looking at his research that examined people who came out of the gray zone and recovered their abilities. While this book is definitely specialized and I read it because I find psychological topics fascinating — and I’m half tempted to suggest it to my advisor since he loves biological psychology — it’s incredibly accessible. You don’t have to have any past knowledge on this to enjoy it.